How to recover lost text messages on the iPhone? If you lost messages or messages attachments, there are a couple of ways to help you recover lost data. This post is going to demonstrate how to recover lost text messages with detailed steps. If you are college student far from home, or working at somewhere thousand miles from your parents, the most possible way that you keep in touch with your parents, especially your mother, is messaging. So, it would be terribly frustrating to find the treasured messages lost. You must be desperate to find some application to help you recover the lost messages between you and your mother. Well, needless to worry that much, there are a couple of ways to recover lost messages and even the lost messages attachments. 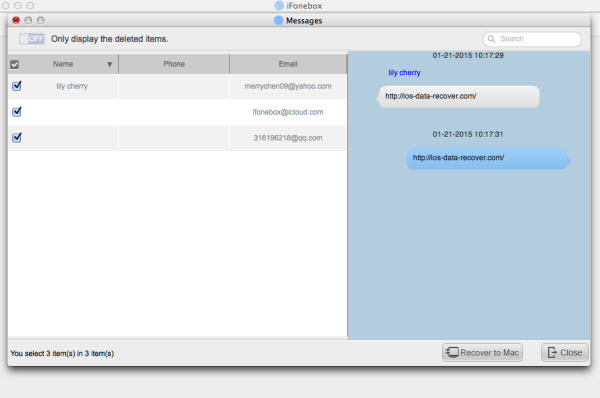 Firstly, you can recover the lost messages and messages attachments directly from your iPhone, but you need some third party software, here I recommend iFonebox. iFonebox is specialized software recovering Contacts, Notes, Calendars, Reminders, Messages (including iMessage, SMS as well as message attachments), Safari Bookmarks, Photos as well as Voice Memos etc from not only your iOS devices including iPhone, iPad and iPod Touch but also from iTunes/iCloud backup. And iFonebox supports transferring the most important data such as Contacts and Notes directly back to iPhone and iPad. To recover lost messages from you iPhone is just as easy as just a few clicks. You can download the free trial version to have a try but you need to buy the full version to recover your lost messages virtually. Step 1: Run the full version of iFonebox and get your iPhone connected to your computer, and hit “Start” on the bottom of the launch interface. Step2: Choose Messages by clicking on the icon Messages, you can also choose to recover messages attachments by tapping on the icon of messages attachments. Step3: Preview the messages recovered from your iPhone, and you can do some modifications before recovering them to your computer. Secondly, you can recover the lost messages from iTunes backup. Make sure you have backed up your iPhone previously and there is no way to back up your messages selectively with iTunes. When you backup your iPhone, you are backing up the messages as well. Therefore you can restore the entire backup file to your iPhone rather than bringing down the messages only to your iPhone. To restore from iTunes, you need follow the steps below. Step1: Run iTunes and make sure you have the latest version. Step2: Connect your device to the computer that you stored your backup on. Step3: Choose your backup by going to File > Devices > Restore from Backup. Look at the date and size of each one and pick the most relevant. Step4: Click Restore and wait for the process to finish. Your device will restart and then sync with your computer. Stay connected until the sync finishes. 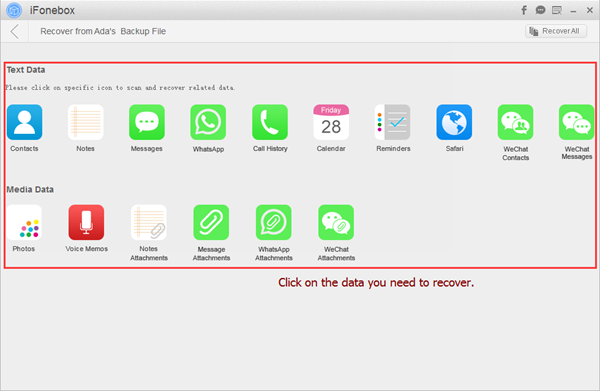 Thirdly, you can recover the lost messages from iCloud backup. iCloud does not allow you restore messages selectively from iCloud backup file either. You need to restore your iPhone with the entire backup file instead of recovering certain data selectively. You will be prompted by Setup Assistant by a new iPhone to set up as a new phone or restore from backup. Step1: On your iPhone or iPad, go to Settings > General > Software Update. If a newer version of iOS is available, follow the onscreen instructions to download and install it. Make sure you have a recent backup to restore from. Step2: Go to Settings > iCloud > Storage > Manage Storage, then tap a device listed under Backups to see the date and size of its latest backup. 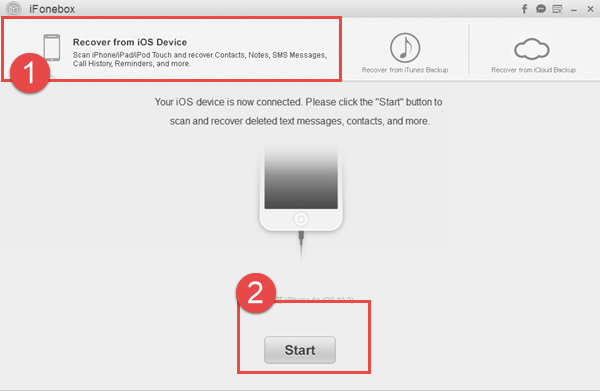 Step4: In the Setup Assistant, proceed to “Set up your device,” tap Restore from a Backup, and then sign in to iCloud. Step5: Proceed to “Choose backup,” then choose from a list of available backups in iCloud. You will see a progress bar with time remaining as iCloud restores your data. To check if the restore is finished, navigate to Settings -> iCloud -> Storage & Backup.